M48 OPS Universal Horizontal Shoulder Holster - Olive Drab - Fits Most Pistols / Handguns - Semiautomatic / Semi Auto, Revolvers, More - Double Mag Pouches - Padded Shoulder - Adjustable Harness | BUDK.com - Knives & Swords At The Lowest Prices! 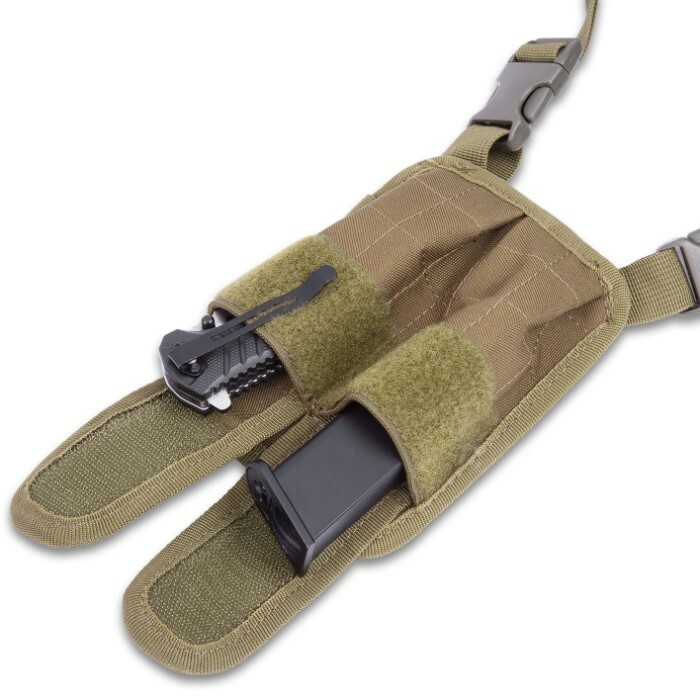 Comfortable, tough and affordable, M48 OPS' Universal Shoulder Holster makes concealed carry easy and painless, on both your wallet and your back! Its universal design fits practically any handgun, from classic revolvers to modern semiautomatic pistols and everything in between. Generously sized "double mag" accessory pouches even provide ample space for extra ammo, magazines and more. 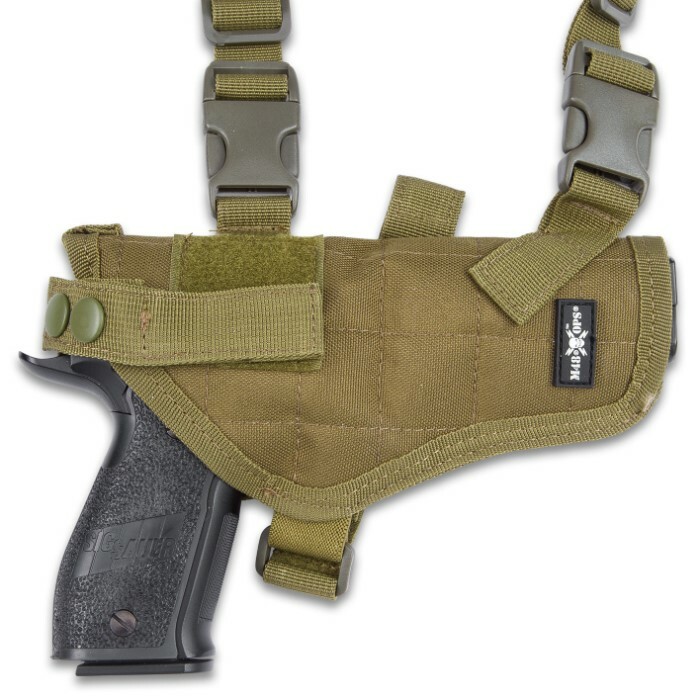 Southpaws need not fret, as the holster's modular form allows for both right- and left-handed use. Furthermore, all components are fully adjustable for a snug fit, no matter your height, build and general body type / size. 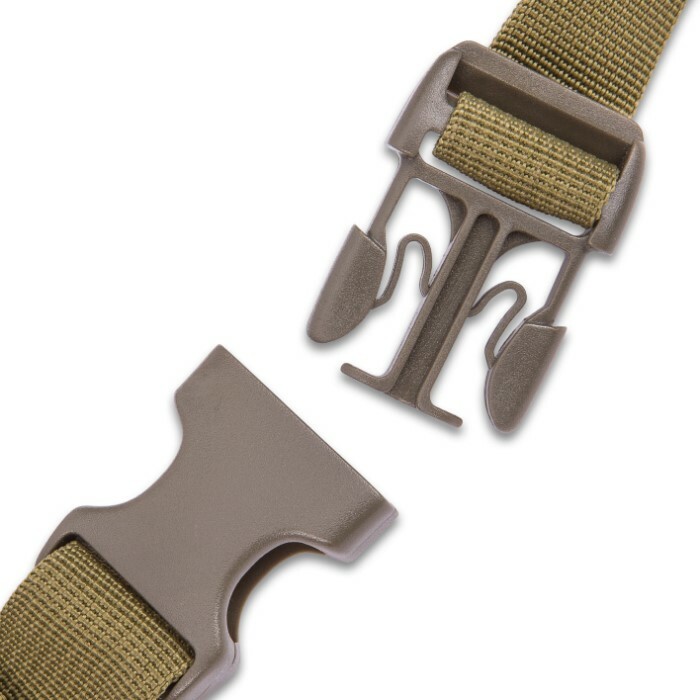 Durable hook-and-loop (à la Velcro) straps attach to an equally tough web belt for tweaking holster and/or pouch tension. The plush padded shoulder harness prevents chafing, skin irritation and muscle fatigue, even during vigorous use and extended wear. Soft pouch and holster linings are just as gentle on your beloved firearms, eliminating scratches and keeping your guns, magazines, ammo and accessories smudge-, dirt- and grime-free. 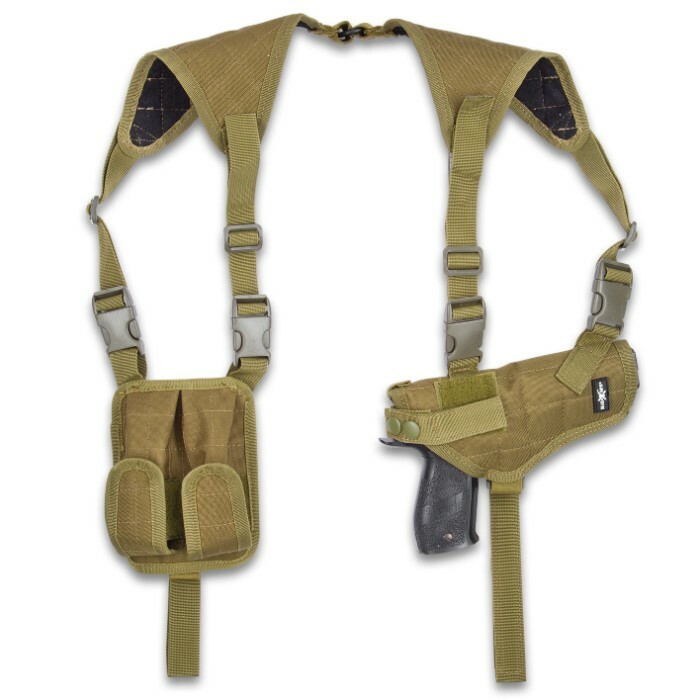 The holster and all its outstanding features are built to last a lifetime, yet this incredible setup - shoulder harness, holster, double mag pouches - is surprisingly affordable. So why pay more? 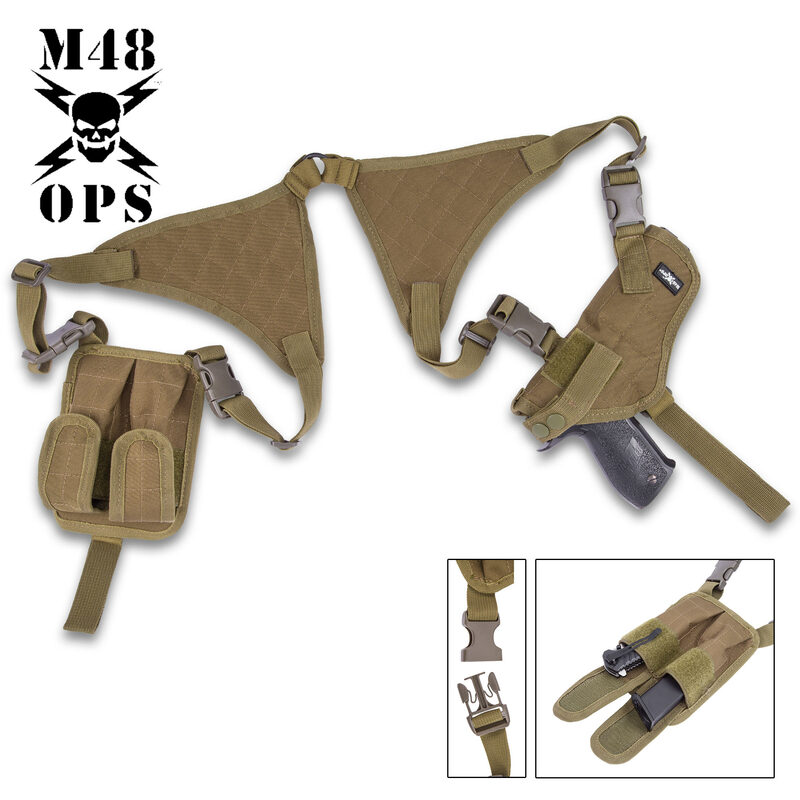 Get premium protection and comfort without the premium price tag with the Universal Shoulder Holster from M48 OPS. This was a great find. The price was the best I’ve found. It does exactly what I was looking for it to do.